Photography had always been a hobby for Kirsty, but after her mother’s diagnosis, the camera became Kirsty’s confidant. She turned it inward on herself, and photography became a visual diary where she recorded all the emotions she couldn’t express in words. 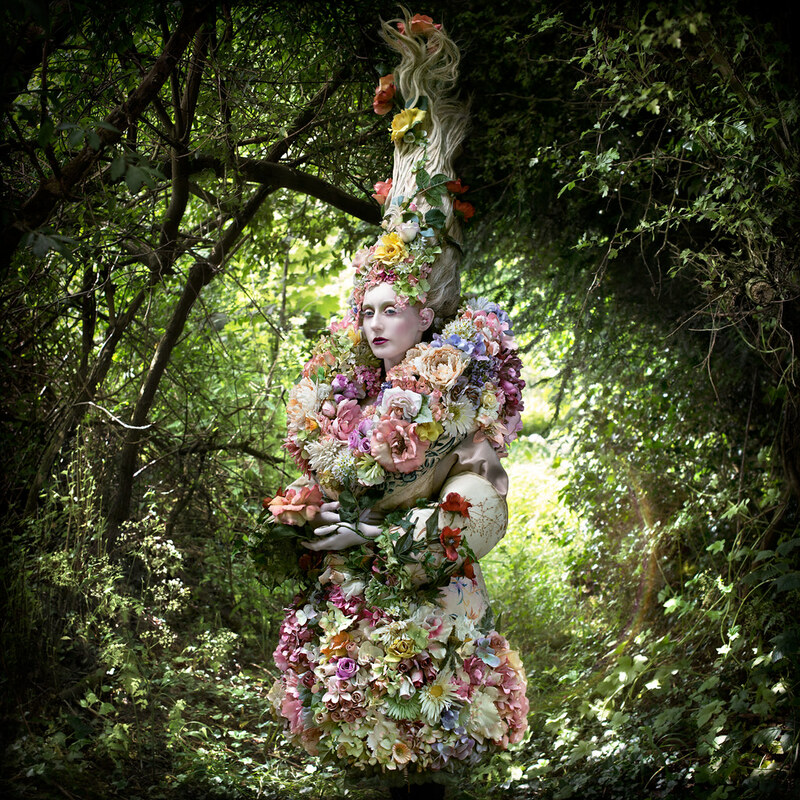 Kirsty was working as a fashion designer at the time, but after her mother’s death, she began to take photography seriously. “I think when you lose somebody, you need to channel yourself into something,” she says. “It’s the only way to block out what happened. And so I obsessively began creating these pictures that became the Wonderland series. “The Wonderland series is a visual fable of all these emotions and memories that linked back to the stories that my mother read to me as a child,” Kirsty says. Creating the fantastical characters and extraordinary landscapes was her way of coping and commemorating her mother. As the series began to develop, it became so much more than photos. She was beginning to see and feel life in a different way. When Kirsty started the series, she had no intention of leaving her job to become a full-time artist. “But it became this undeniable passion that was all I could think about,” she says. “I felt I had to make a decision. Walk away from my career, or spend the rest of my life sitting behind a desk wondering “what if.” So, she decided to pursue her passion full-time. 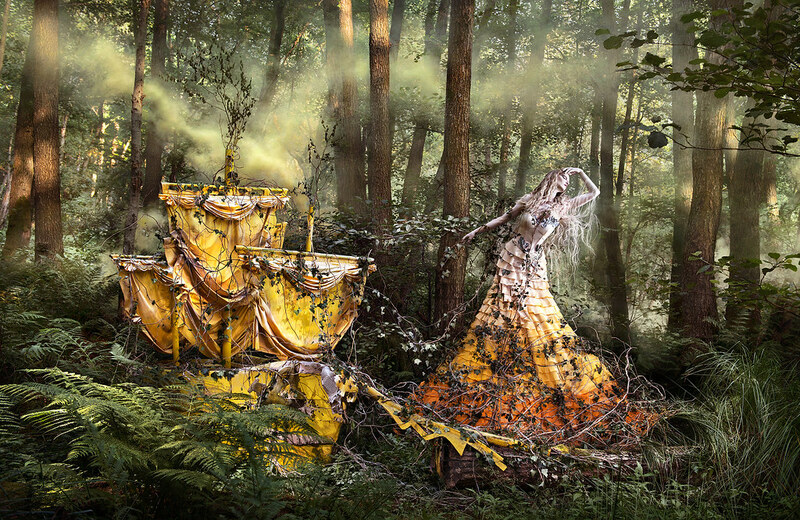 The process of creating a Wonderland image is incredibly intense, and it can take Kirsty up to five months on a single photo. 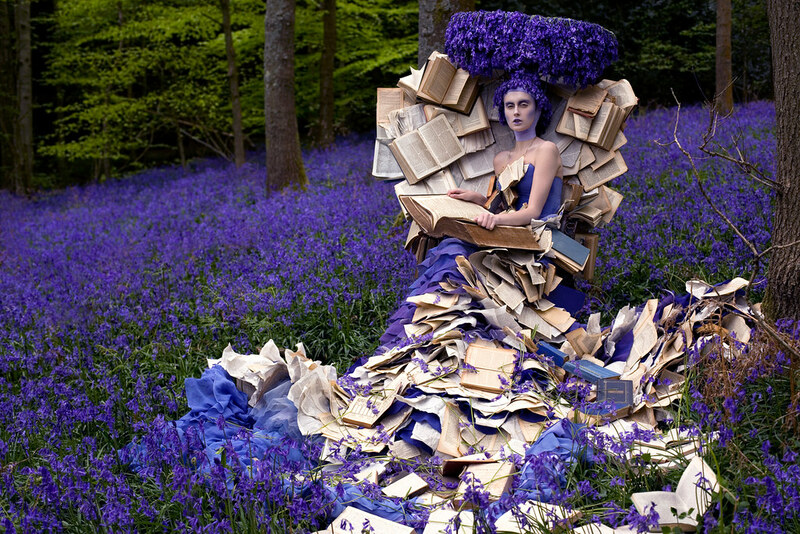 She produces all of the intricate costumes, props, and sets herself, and she includes writing with each image. As a former fashion designer, creating the costumes is one of her favorite parts of the process. 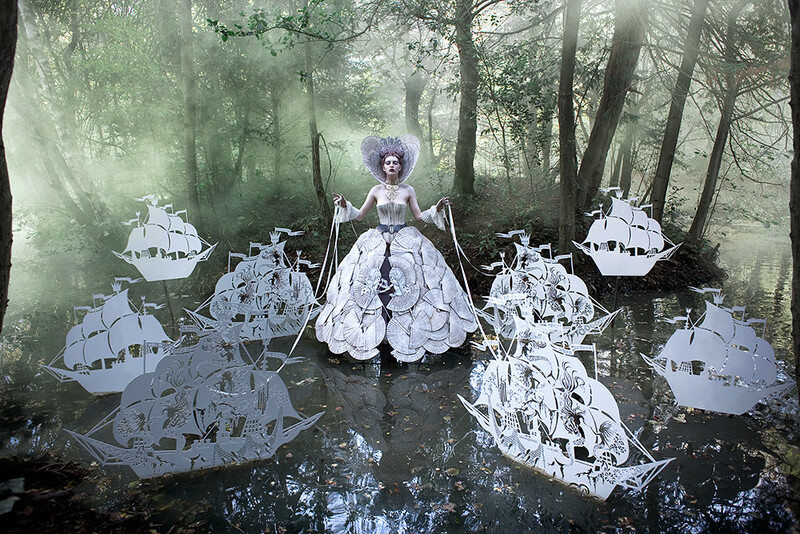 Her experience working with high-end designers, combined with her imagination, allowed her to develop designs that have no limits, like the costume in “The Queen’s Armada,” which is made from 240 hand-painted wooden fans. The response to Kirsty’s work is something she never expected. The series has been covered in Vogue, Harper’s Bazaar, and leading news websites from around the world. Wonderland has won two international awards, and the momentum is ongoing. Now, she is focused on creating a Wonderland book, the culmination of a six-year journey. The book will allow her to share all of the finished images, while serving as a tangible representation of the emotion and dedication that went into producing such a multilayered body of work. Kirsty will launch a Kickstarter campaign this May, which will allow her to have full ownership over the publishing of the Wonderland book. The projected release will be in time for Christmas 2015. Starting today, Flickr is happy to support Public Domain and Creative Commons 0 (CC0) works on our site.